Trucking careers offer lots of benefits, but one downside of this industry is how difficult it is to stay healthy. Sitting up to 11 hours per day is hard on your body and your overall health, especially combined with sleep deprivation, truck stop food, and minimal physical activity. You don’t need a gym at your disposal to stay healthy on the road. The following fitness options are easy to do no matter where you’re driving. They take up little storage space and don’t require lots of room to use. Here are our top exercises for truck drivers, Give them a try and find out how much better it feels to stay healthy. 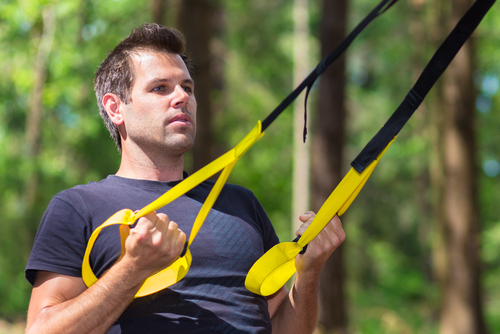 TRX suspension training uses your body weight to give you a thorough cardiovascular and strength training workout. You can attach the suspension cables to the bottom of your rig or any stable surface. The main benefit of this exercise is its flexibility. You can get a full-body workout, train one part of your body and call it a day, or speed up the reps to break a sweat. Suspension training is one of the best exercises for truck drivers. If you have a smartphone, you have a portable workout. The Active Trucker app is specifically designed for busy truck drivers who are used to a sedentary lifestyle. The app is broken up into phase 1 and phase 2. You start with phase 1 and move on to phase 2 once you have a fitness baseline and a stable workout routine. Workouts are just 16 minutes long, so they fit into even the busiest days. 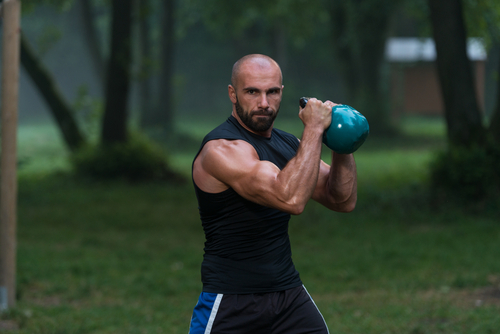 A kettlebell takes a barely any space at all, making it the perfect companion on a long haul. Depending on your current fitness level, you can start with a kettlebell that’s just a few pounds or get one as heavy as 20 pounds. Work up to two as your tolerance allows. Workouts that use this tool focus on swinging the kettlebell, which creates additional force and pushes muscles to the limit. You combine swinging motions with leg exercises, twists, and cardio moves to quickly burn fat and build muscle. Some of the coolest Kettlebells on the market are the Onnit kettlebells. Onnit makes unique Kettlebells in the shape of the heads of beastly animals. 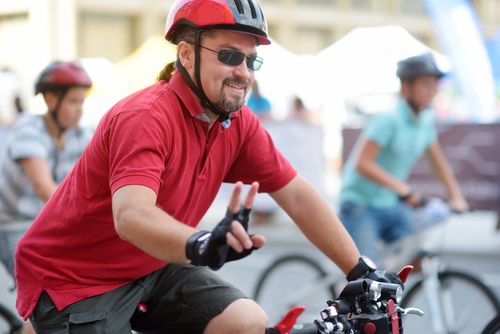 A bike ride works your leg muscles, releases tension from long periods of sitting, and builds cardio strength. A regular road bike isn’t necessarily an option on the road, since bicycles take up a lot of space and you don’t always know where you are. Stationary folding bicycles are the solution. These bicycles often accommodate people up to 300 pounds and are comfortable for drivers up to 6 feet tall. Bikes fold out in one smooth motion for your workout and fold back up for easy storage. Many have transportation wheels to make the bike easier to take out and put away. Rebounder is a fancy name for a mini trampoline. Mini trampolines are the perfect way to start exercising if you haven’t worked out in years. They absorb the impact of jumping and minimize strain on your joints. You can just jump up and down for 20 minutes and get your heart rate up, or you can add in strength moves to get an entire body workout. Since rebounders a fairly small, they can usually fit in the passenger side of your truck. There are also models that fold up for easier storage. Your health is the most important thing you have, so don’t let it go for your career. With these easy workout methods, you can fit in a workout no matter where you are. 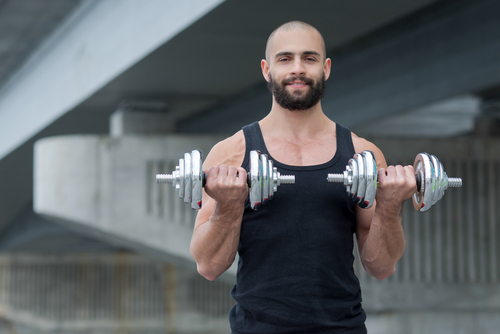 One of the most versatile exercise equipment is the dumbbell. With the dumbbell a truck driver can work just about every muscle in the book without taking up hardly any space. Finding a good weight that can wear you out, but isn't too heavy to lug around is key. When the weight starts getting light it only means you need to do more reps or change up the exercise. One great dumbbell tool that has been created is the Bowflex SelectTech 552 Dumbbells. This genius set of dumbbells has a locking mechanisms that allow the user to adjust their weight to the preferred amount so that one size fits all for this fitness tool. 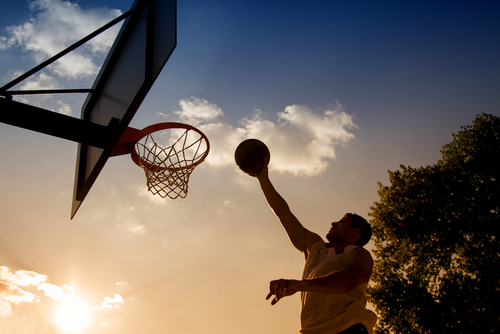 The game of basketball is a full body sport and can be one of the most fun, best exercises for truck drivers. The easiest thing about playing basketball is that you only need a ball. Finding some basketball courts across America will be easy to do and finding ways to make the sport enjoyable when its just you isn't as hard as you think. Layup drills, quick sprints, your own personal 3 point contest is all in the cards. 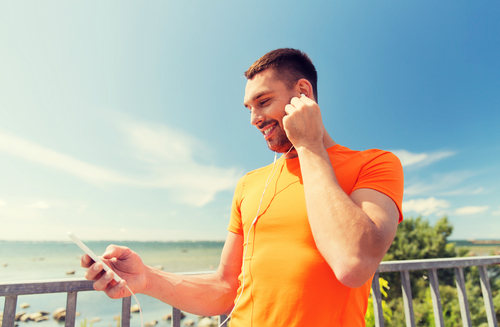 Adding some headphones and a nice warm day might have you losing not only pounds of weight, but track of time.